The eighth and final movement of Olivier Messiaen’s Quartet for the End of Time fades into numb, detached serenity. It’s a quiet lament, simultaneously comforting and haunting. 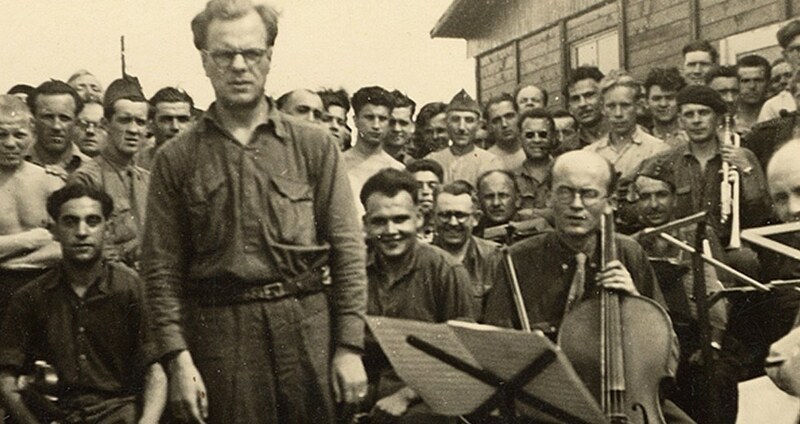 Messiaen wrote this music as a prisoner in the Nazi war camp, Stalag VIII at Görlitz, Germany. He was captured as a French soldier during the German invasion of France in 1940. The premiere took place on the cold, rainy night of January 15, 1941. The audience of around 400 was made up of prisoners and guards. The instrumentation reflects what was available to Messiaen in the camp- clarinet, violin, cello, and piano. Only half of the movements are scored for all four instruments, together. The final movement, “Praise to the immortality of Jesus,” is for violin and piano.